Yorkshire’s reach appears to know no bounds as sales of Ginetta’s performance outerwear – much of it made in the county – have been dispatched all over the world in recent weeks. The Garforth-based race car manufacturer expanded into fashion in recent years but its latest collection packed with intricate race car gadgetry and toughened materials has found favour in places as far flung as Japan, Sweden and the U.S.
With smooth curves, modern styling and the design expertise associated with Ginetta’s racing car heritage, the collection boasts an unrivalled mix of fashionable flair and seasoned durability. The company, which first started making racing cars in 1958, has adapted its expertise to create a range of performance coats, jackets and bags inspired by the grace and beauty in one of the world’s most glamorous sports. Key highlights include the sleek black driver’s rucksack with its quick release buckle, first devised for the seat belts of racing cars, and the Titan Track Coat with its flame retardant fabric and detailed Yorkshire craftsmanship. It also includes a deliciously luxurious shawl cardigan made from the finest Merino wool with added suede elbow patches – a must for every racing driver. 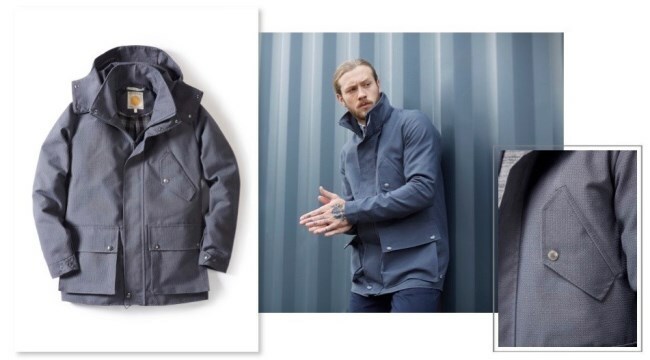 The traditional Duffle Coat has also been given added edge for the 21st century with its distinctive clasp fastenings, based on the classic engine kill switch, replacing the usual wooden toggles. Continuing the racing car theme the duffle, in collaboration with world renown manufacturer Gloverall, also has ventile shoulder pads, more regularly used as a barrier from seat belt wear and tear. The Walklett Blazer, named after the founders of Ginetta, is made from British waxed cotton more often used to protect sailors from the harshest of environments. In navy and olive with a flattering fit, the blazer is as fashion forward as it is enduring. “The collection was designed to embody all that is essential in any racing driver’s wardrobe,” said Lawrence Tomlinson, a racing driver, engineer and business entrepreneur who took over the business in 2005. All the garments are made in Britain in keeping with the Ginetta brand philosophy and created in association with factories boasting their own rich heritage and reputation for excellence. Each piece has also been produced in limited numbers to protect the exclusivity so highly coveted in the luxury market.